The crude oil market is bigger than all raw metal markets combined. The globla market fo crude oil was 94 million barrels per day in 2015. 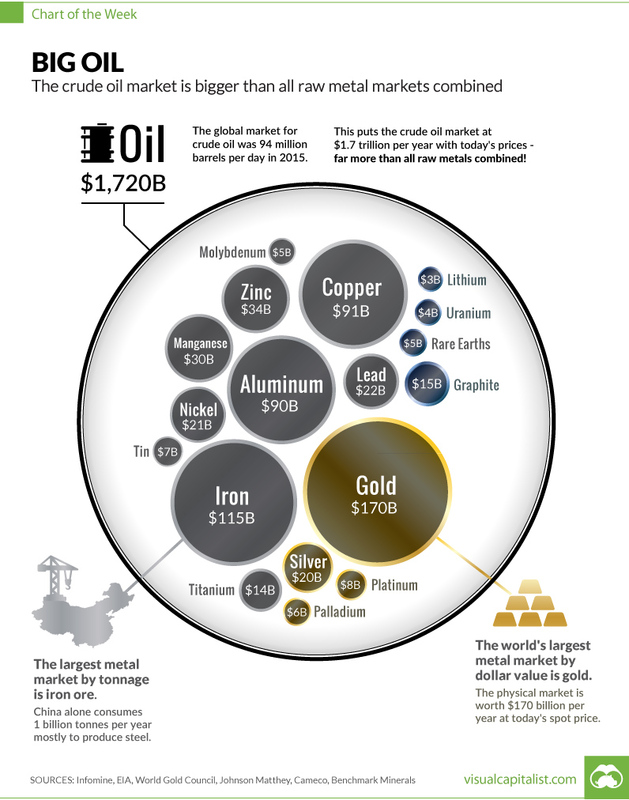 This puts the crude oil market ant $1.7 trillion per year with today's prices - far more than all raw metals combined! The largest metal market by tonnage is iron ore. China alone consumes 1 billion tonnes per year mostly to produce steel. The world's largest metal market by dollar value is gold. The physical market is worth $170 billion per year at today's spot price.